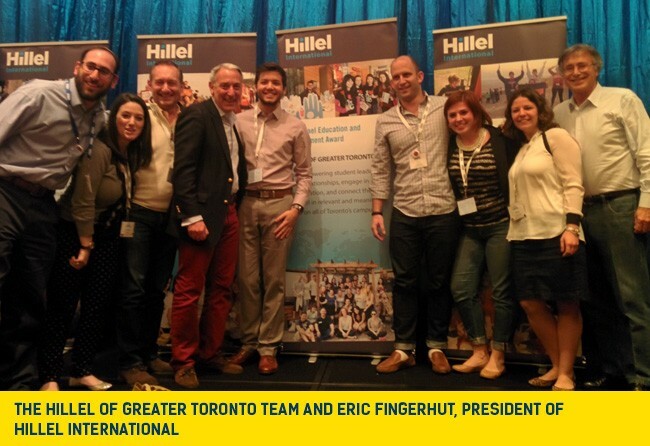 By Dan Horowitz- The inaugural Hillel International: Global Assembly took place this week in Orlando, Florida, and Hillel of Greater Toronto, was named the recipient of the prestigious Israel Education and Engagement award. The award is presented to the Hillel that demonstrates excellence in empowering student leaders to build relationships, engage in conversation, and connect their peers to Israel in relevant and meaningful ways on all of Toronto’s campuses. Hillel of Greater Toronto receives annual financial support from UJA Federation of Greater Toronto. "This award recognizes our true commitment and dedication to providing excellence in Israel engagement and education to our students,” said Lior Cyngiser, Director, Israel engagement, education and advocacy, Hillel of Greater Toronto. “The award showcases how much we value the significance of a relationship with Israel and its impact on a student’s Jewish identity."